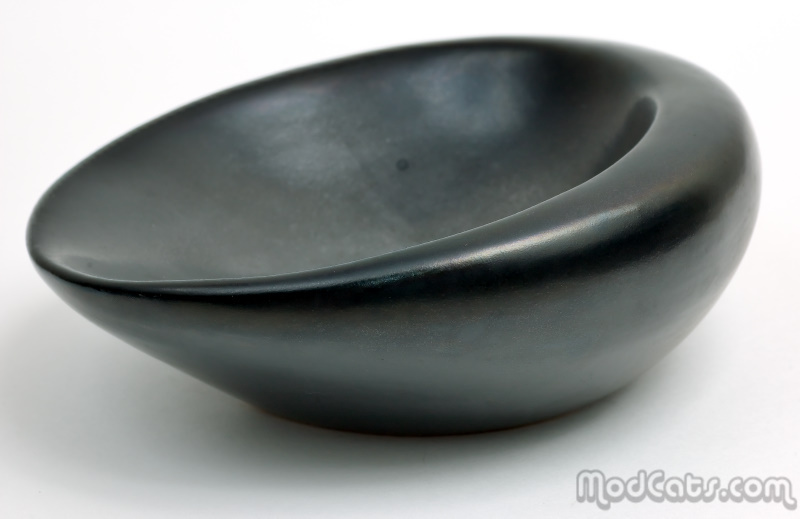 Georges Jouve (French, 1910-1964) circa 1950s gun metal black ceramic bowl. Basically circular but beautifully asymmetrical with offset centering and a gentle slope. The base carries both an incised signature Jouve and his distinctive cipher mark (also ink stamped France). Condition: Small scuff in glaze lower rear (see photo #8) otherwise perfect.